Being an incorrigible tea drinker and a big fan of Chinese herbal products, I was disheartened by two reports released by Greenpeace. One study from 2012 suggested that twelve of the eighteen tea products the organization bought at random contained at least one pesticide banned for use on tea; the other, just released, found that thirty-two of the thirty-six samples of herbal products imported from China had residues of three or more pesticides considered highly hazardous by the World Health Organization. 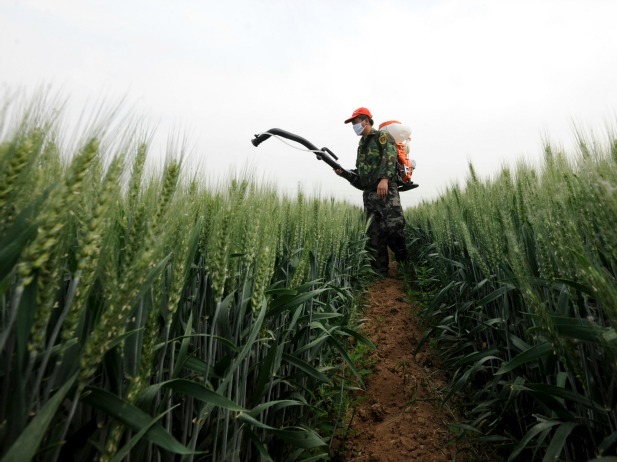 The presence of pesticide residues in Chinese tea and herbal products, in conjunction with the illegal use of a highly toxic pesticide on ginger, points to the extensive use of fertilizers and banned pesticides in China’s agricultural sector. While the extent of soil contamination in China remains a “state secret,” it is clear that contamination, such as therecent discovery of rice contaminated with cadmium (a highly toxic heavy metal), occurs at the very beginning of the food supply chain, and its accumulation effect in soil means that cleanup will be very costly and may take decades. Chinese people are keenly aware of the crisis in China’s food industry, and when travelling in China, I was amazed by the strong concern for food safety. According to the magazine Xiaokang, food safety has been ranked the most worrisome security issue [Chinese] for four consecutive years in a nationwide survey. In contrast to the widespread perception of worsening food safety, some Chinese elites contend that the problem has been exaggerated. In a speech made on May 13, Chinese Premier Li Keqiang said that issues such as fake mutton and toxic ginger were“only local, emerging problems” [Chinese]. Zhang Yong, now the director of the China Food and Drug Administration (CFDA), said that China’s food safety situation was “overall stable and getting better,” and “not characterized with major systematic risk” [Chinese]. Some business leaders readily agree—as the chairman of COFCO Group, one of the largest food manufacturers in China, noted, “I don’t think China’s food safety problem is that serious, because…over the past three decades, China has seen improvement in its [food] quality and nutrition level” [Chinese]. This Pollyanna attitude was echoed by leading Chinese food expert Luo Yunbo: “our basic consumption safety is guaranteed, and the overall food safety level is getting better” [Chinese]. Official statistics suggest [Chinese] that food inspection pass rate was over 90 percent in 2011, compared to the less than 60 percent rate fifteen years earlier. But this line of reasoning is flawed because it implies that similar perception gap would also exist in other countries, given that information asymmetry problem is inherent in any country’s food production and marketing process. It also cannot explain why in recent years centers for “special food supply” [Chinese] have been established across China to provide organic food to government officials. Indeed, if “irresponsible” media was able to contribute significantly to the perception gap on food safety, it was precisely because of the poor transparency in China and society’s lack of trust in the government. Against this backdrop, blaming the media for presenting bad, but accurate, news only diverts attention from real cause of the perception gap—that is, the lack of regulatory capacity in China. Beijing should start fixing this problem by first instilling trust in government statistics. The public needs to know which government agency provided the data, what standards the government uses to inspect food products, how the food safety data are collated, and if the sampling procedure is scientific and representative. Government data significantly underestimates the scope and seriousness of China’s food safety crisis for at least three reasons. To begin with, China does not have the regulatory capacity to conduct systematic, random sampling of its food products. Take the dairy industry as an example. It was estimated that at the county level no more than ten people were charged with regulating the dairy industry. This means that China has to heavily rely on non-random sampling to find out food safety problem. According to Wang Dingmian, vice chairman of the Dairy Association of Guangdong Province, such method was able to discover no more than one third of the food safety problems. Second, the inspection pass rate is high in large part because the government agencies fail to include many noxious substances that should be included, and, if they do, adopt low thresholds in inspection. Compared with other countries, China has fewer and often lower food safety standards [Chinese], and about one fourth of the current standards have not been updated for more than ten years. The quality standards for the agricultural products only include sixty-two chemical pollutants, compared with 4,000 in the United States and 10,000 in Japan. As a result, many well-known toxic chemicals such as melamine and plasticizer were not included for inspection until after their harmful effects became known to the public. The gap between Chinese and EU standards is especially large. For example, China’s maximum residual limit of diethylstilbestrol (DES) is 0.25/kg, 250 times that of the EU (0.001 mg/kg). Third, different government agencies in China are entrusted to formulate and enforce food safety standards separately. While departments of health at each administration level formulate hygiene standards, departments of quality supervision are responsible for formulating product quality standards. The sampling and test results from different departments often conflict with each other. The 90 percent aggregate pass rate was provided by the General Administration of Quality Supervision, Inspection and Quarantine (AQSIQ), using standards based on the Product Quality Law, but there is no guarantee that a separate set of standards enforced by a different government agency would lead to similar rosy results.